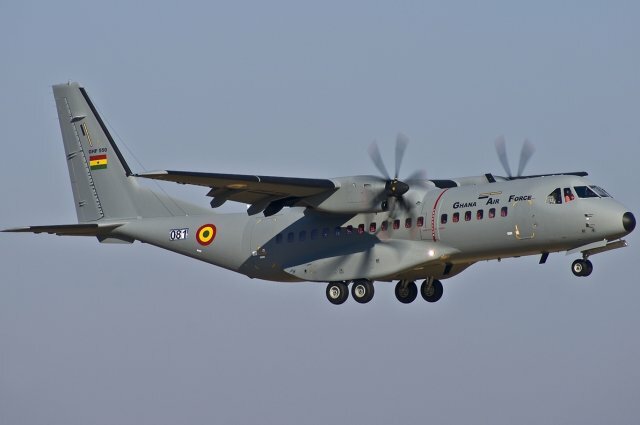 The Ghanian Parliament has approved a $49.10 million loan facility with Airbus Defence and Space SAU to purchase a C295 CASA transport aircraft and other related equipment for the Ghana Armed Forces. The facility also has a $300 million component for Peace Keeping efforts for the Ghana Armed forces, announced local medias yesterday, March 25. Earlier, Minority Leader of the Ghanaian Parliament Osei Kyei Mensah-Bonsu had asked the Defence and Interior Committee of Parliament to ensure that due diligence was done on the loan agreement for the purchase of the aircraft. The C295 is a twin-turboprop tactical military transport aircraft that operates into short, unimproved runways. It is extremely effective in operating in austere, remote airfields, and in adverse weather conditions and has exceptionally low fuel-consumption. In operations in Kosovo, Iraq and Afghanistan it has demonstrated exceptional mission flexibility and rapid cargo-space reconfiguration. The C295 is equipped with self-protection equipment, already in service in hostile environments: cockpit armour, radar warning receiver (RWR), missile approach warning system (MAWS), laser warning receiver (LWR) and chaff/flares dispensers. The C295 is able to carry up to nine tonnes of payload or up to 71 personnel, at a maximum cruise speed of 260 kt /480 km/h. Fitted with a retractable landing gear and a pressurised cabin, it can cruise at altitudes up to 25,000 ft, while retaining remarkable short take-off & landing (STOL) performance from unprepared short, soft and rough airstrips, as well as low level flight characteristics. The Ghana Air Force operates two Airbus Defense and Space C295 tactical transport aircrafts, with now one more on order.